Fleetwood Mac are a British rock band formed in July 1967, in London. The band has sold more than 100 million records worldwide, making them one of the best-selling bands of all time. In 1998, selected members of Fleetwood Mac were inducted into the Rock and Roll Hall of Fame, and received the Brit Award for Outstanding Contribution to Music. The two most successful periods for the band were during the late 1960s British blues boom, when they were led by guitarist Peter Green and achieved a UK number one with "Albatross"; and from 1975 to 1987, as a more pop-oriented act, featuring Christine McVie, Lindsey Buckingham and Stevie Nicks. 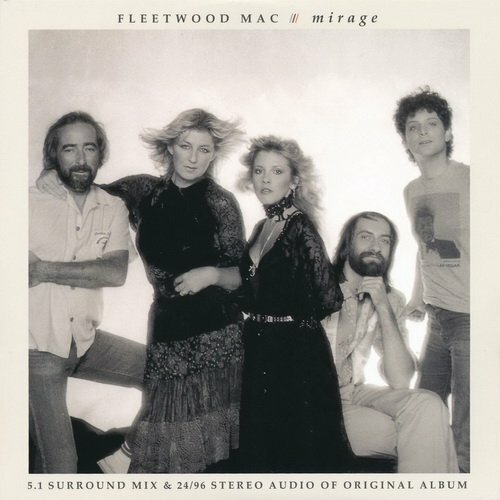 Fleetwood Mac's second album after the incorporation of Buckingham and Nicks, 1977's Rumours, produced four U.S. Top 10 singles and remained at No. 1 on the American albums chart for 31 weeks, as well as reaching the top spot in various countries around the world. To date, the album has sold over 40 million copies worldwide, making it the eighth-highest-selling album of all time.